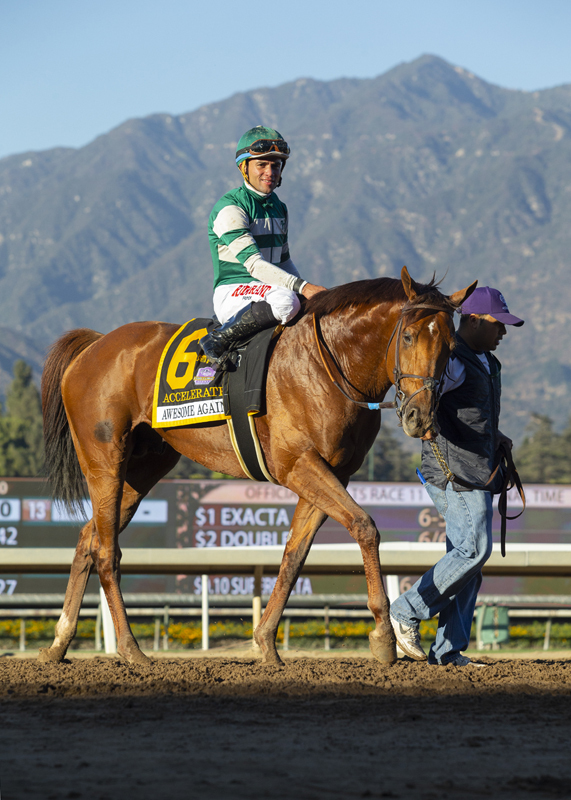 Breeders’ Cup Classic winner and Horse of the Year finalist Accelerate is scheduled to have his final local workout this weekend before shipping to Florida for the $9 million Pegasus World Cup at Gulfstream Park a week from Saturday, Jan. 26. “The track was open today for the first time in three days,” said John Sadler, who trains Accelerate for owners Kosta and Peter Kosta, “so that’s pretty good. Accelerate will probably work Saturday or Sunday, but I won’t make that call until I see the track in the morning. 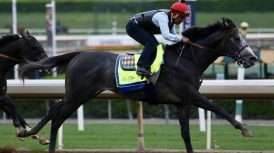 Peter Miller has three horses entered in Saturday’s Grade II Palos Verdes Stakes for older sprinters at six furlongs, headed by Breeders’ Cup Sprint champion Roy H.
It could have been four, had not St. Joe Bay been claimed from Miller last May 28. 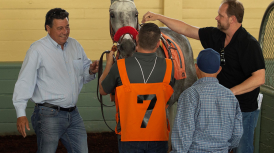 That’s when John Sadler haltered the seven-year-old gelding for principal clients Kosta and Peter Hronis, who have the consistent veteran flying their colors in the Palos Verdes, which offers $200,000 in purse money. 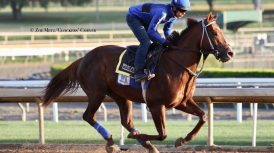 “He’s a nice horse,” Sadler said of the Florida-bred son of A.P. Indy stallion Saint Anddan. 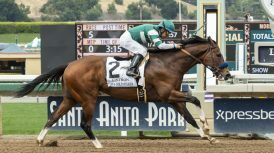 “He’s been good for us already (second by a head in the Grade II San Carlos, third in the restricted Comma ToThe Top and winner of an allowance race at Los Alamitos). In 34 starts, St. Joe Bay has a 6-7-6 record with earnings of $610,515. The field for the Palos Verdes, race nine of 10 with a 12 noon first post time: Touched by Autism, Geovanni Franco, 20-1; Distinctiv B, Drayden Van Dyke, 12-1; Kanthaka, Flavien Prat, 4-1; St. Joe Bay, Tyler Baze, 6-1; Conquest Tsunami, Joel Rosario, 5-1; Awesome Anywhere, Mike Smith, 8-1; and Roy H, Paco Lopez, 4-5. Claimed for $40,000 last Nov. 22, Lynne’s Legacy paid immediate dividends by winning the restricted Miss America Stakes at Golden Gate Fields next out two weeks later on Dec. 8. Doug O’Neill, the meet’s leading trainer through 13 racing days, hopes to keep the ball rolling when the six-year-old daughter of the late Unusual Heat runs in Sunday’s Grade III Astra Stakes for older fillies and mares at a mile and a half on turf. A stone closer, the marathon distance should be ideal for the winner of five races from 29 starts with earnings of $305,780. O’Neil had Lynne’s Legacy for seven races before she was haltered for $40,000 by Steve Knapp last Oct. 28. “We’ve been dreaming of her running that distance for a long, long, long time,” said O’Neill assistant of 18 years Leandro Mora. “She does her best running the last quarter of a mile, eighth of a mile as a matter of fact sometimes. The Astra, race eight of 10 with a 12 noon first post time: Cheekaboo, Joel Rosario, 10-1; Lynne’s Legacy, Alonso Quinonez, 6-1; Arctic Roll, Ruben Fuentes, 20-1; Amboseli, Kent Desormeaux, 6-1; defending champion Plein Air, Drayden Van Dyke, 4-1; Trust Fund Kitty, Brice Blanc, 30-1; Copper Fever, Joe Talamo, 30-1; K P Pergoliscious, Mike Smith, 3-1; Indian Mantuana, Tyler Baze, 7-2; and Pantsonfire, Flavien Prat, 6-1. After three decades as a trainer, Mike Machowsky starts a new career on Feb. 15. The 54-year-old Ohio native will be the full time California representative for national auction giant Fasig-Tipton. Machowsky, who gained national exposure in 2004 when he saddled Southern Image to back-to-back million dollar victories in the Santa Anita Handicap and the Sunshine Millions Classic, still is in the process of dispersing some two dozen horses from his public stable. “We have an idea (as to where they will go), but we still have a lot to run, so we’ll figure it out after they race,” he said. 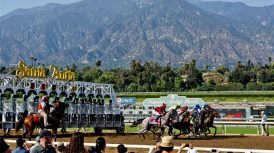 Fasig-Tipton will conduct two auctions in Santa Anita’s historic walking ring this year, the June 5 Two-Year-Olds in Training sale and the Sept. 25 Fall Yearling Sale. 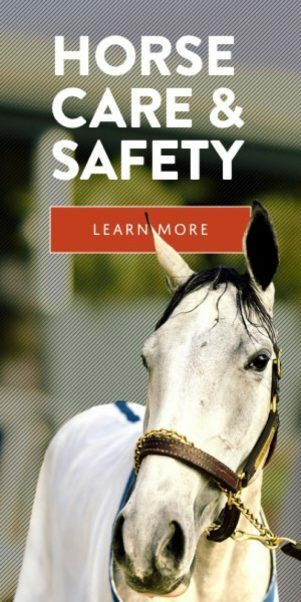 In addition to recruiting buyers and sellers for those events, Machowsky will promote overall awareness of the Fasig-Tipton brand and serve as a point of contact for any general inquiries from California connections regarding Fasig-Tipton’s nationwide auction schedule. 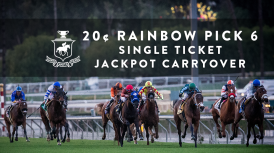 Today’s Stronach 5 will have a $50,000 guaranteed pool and will feature turf races from Gulfstream Park and Santa Anita Park. The national pick 5 sequence, with an industry-low 12-percent takeout, will begin with a one mile turf event from Gulfstream Park before heading north to Laurel Park for a claiming event with a dozen runners. The sequence ends with turf races at Gulfstream and Santa Anita. 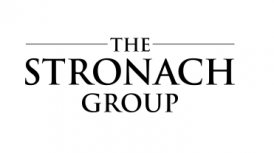 In the Stronach 5, if a change in racing surface is made after the wagering closes, each selection on any ticket will be considered a winning selection. If a betting interest is scratched, that selection will be substituted with the favorite in the win pool when wagering closes. SWEETNER WORKS THREE FURLONGS THIS MORNING. FINISH LINES: Ron Anderson, agent for jockey Joel Rosario, and Santa Anita morning line oddsmaker Jon White, will be Tom Quigley‘s guests, Saturday and Sunday, respectively, at 10:50 a.m. There will be no seminar on Monday . . . Santa Anita’s timeless Paddock Captain, John Shear, will be presented with a Happy 98th Birthday Cake in the Winner’s Circle following today’s sixth race.